This time of year is Willow's favorite for walking. My little furry girl hates the summer heat, and when the days start to cool down, she loves to go for the "long walk". 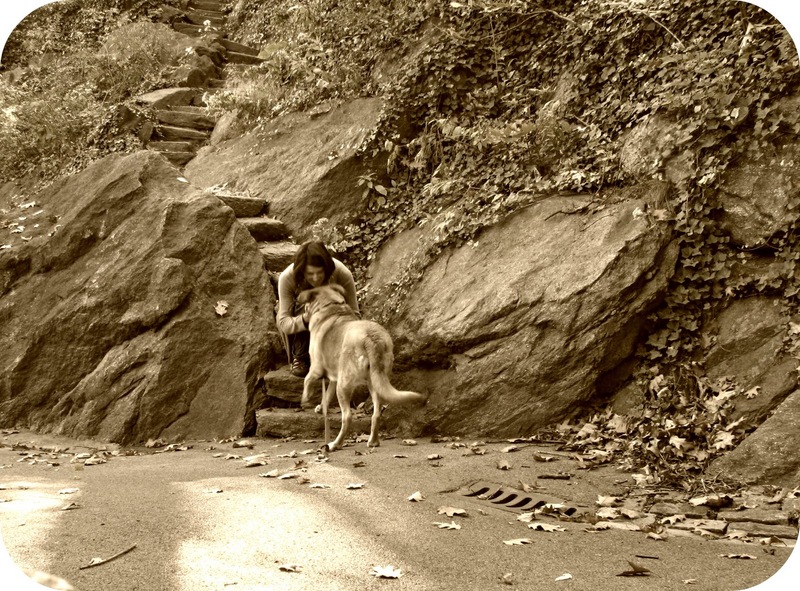 I try to take her to Ft. Tryon Park as often as I can. There are great paths filled with trees and gardens--it's one of the best parks in the city and we are lucky to live so close to it. She's also a pretty good sport when I stop to attempt a self-portrait, although I am sure she thinks I am a little crazy (along with the people walking by). She wasn't supposed to be in this next photo below. She was sitting quietly outside the frame of the shot but when the camera started shooting she ran right for me and I couldn't stop her. It's actually a cute series of photos as she's running towards me, but I won't bore you with that here. After that, I thought we should take one together properly, so she wouldn't feel left out. Happy Purple Tuesday! 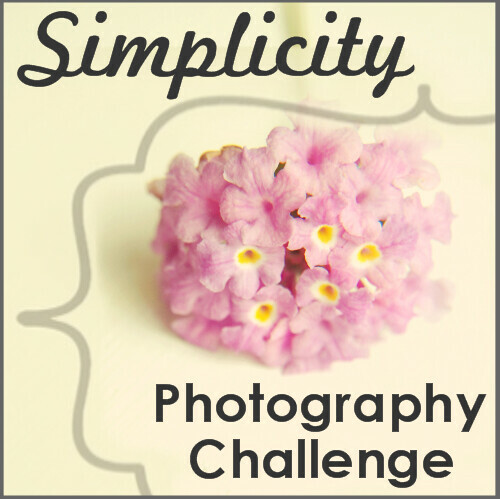 I'm also sharing the flower image as part of the Simplicity photo challenge this week, SOOC. Those sepia images are so sweet and lovely. So sweet! Wish my pup was as patient! Sooooo beautiful, it looks so peaceful. I'm so glad she worked her way into the photos! So cute. Ahh so sweet! My Aussie is trained the same. She always sits quietly while I frame a view. Aw... those are great photos! These are so great - I'm glad to see Willow made the picture. How do you do self portrait out like that? Propped on a rock? I can't hardly get a SP around here without a dog or cat or chicken or toddler in it either. Hee hee! Real life, that's what that is! Wonderful flower shot the purple tone is really good.